'Free from', gluten-free, vegan, paleo – you name it, more people are eating ‘clean’ and more restaurants are offering menus and dishes tailored to these eating habits. And if ‘free-from’ food is available in a restaurant, it should certainly be available on a superyacht. Yet it’s not owners and guests who are the main focus of this ‘free-from’ eating. According to one superyacht chef, it’s the crew. “We do get the odd charter with gluten-free requests, but to be honest I’ve found more crew actually having more celiac issues. We currently have four crewmembers who are gluten free,” explains chef Geoffrey Fisher of busy charter motoryacht Slipstream. But as any chef will tell you, having one gluten-free flour on board will most likely not be enough. A blend that will make bread won’t necessarily have the same success when it comes to pastries. And, while it seems this is an issue that affects crew more than guests, when those guests do come on board it’s imperative they get that same seven-star treatment, regardless of eating habits. It’s for this reason that different blends of gluten-free flours are used. “There are a lot more gluten-free, all-purpose flours on the market, and they might taste OK in a brownie but they won’t hold up in a bread or in a pizza. 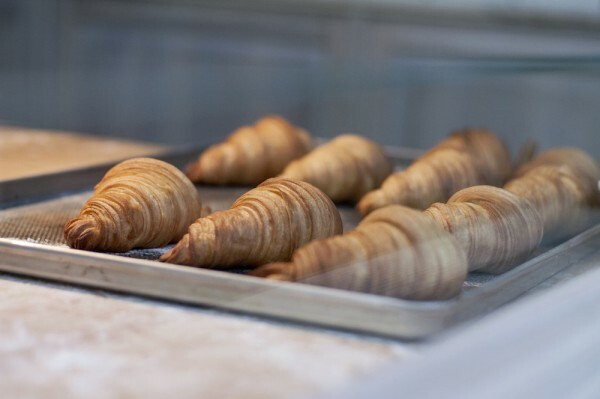 You need different custom blends for baking and cooking purposes,” explains Orly Gottesman of Blends By Orly (visit website), which offers a variety of gluten-free flour blends to chefs and, now, to the superyacht market. Chef Fisher is an advocate of working with different blends on board and is pleased with the growing availability of gluten-free flours in yachting destinations. “The range of products and gluten-free flours are certainly a lot better than a few years ago. I’ve found they are readily available in Europe as well as here in the Caribbean – mainly St Maarten, which is the yacht hub of the Caribbean.